A younger Pape Samba ’18 watched movies and news stories from his home in Senegal and became fascinated with the global economy. He saw how different the images of the industrialized nations were compared to the developing ones he grew up in, and started wondering how people create financial wealth. That initial curiosity, combined with his desire to study abroad after high school, eventually landed Samba in the Master of Science in Finance graduate program at Pacific Lutheran University. Now, Samba works at the center of the industrialization he grew up pondering. 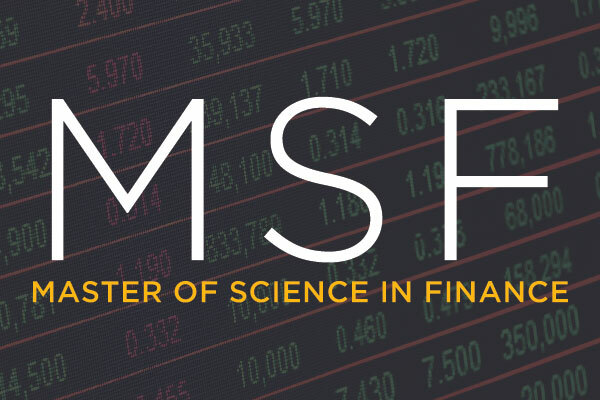 Students interested in the 10-month MSF program need quantitative abilities, a desire to study finance and, above all, a “willingness and ability to learn.” Other than that, anyone from any undergraduate background may be considered. He is a data analyst for the Wall Street firm BlackRock. The corporation — the world’s largest asset manager with more than $6 trillion in assets under management — is based in New York City and runs a Seattle office that recently expanded. “This is a very new program they are creating in BlackRock,” Samba said, adding that his team focuses on technology and business operations. He analyzes market data and resolves security-modeling issues critical to the investment-decision process. BlackRock approached PLU, along with other programs statewide, when it started a recent recruiting push. Samba was chosen as one of three candidates in the state, and one of only 15 nationwide — out of a total pool of more than 600 candidates. Samba’s journey toward a career in American finance started at Tacoma Community College. He first learned about the school through research at the American Corners arm in Gambia, another West African country he lived in for a short time. American Corners are American-style resource centers that provide free access to information about the United States. 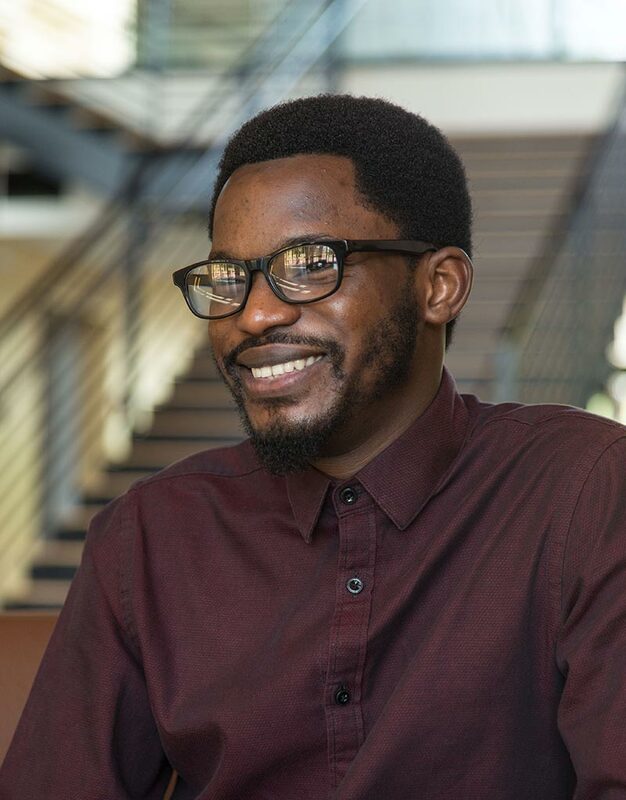 Before discovering the reference book on community colleges and universities in the U.S. that pointed him to the Pacific Northwest, Samba never planned on studying here, let alone transferring to a private university to finish what he started at TCC. He earned an undergraduate degree in business administration, with an emphasis in finance, in 2016 before taking a gap year to gain industry experience. Cynthia Riley DeHope, director of the MSF at PLU, said the 10-month program caters to students from diverse backgrounds. Students need quantitative abilities, a desire to study finance and, above all, a “willingness and ability to learn.” Other than that, anyone from any undergraduate background may be considered. Some students have even made the leap from studying music, DeHope noted. Samba’s interest narrowed from economics to finance when he realized he wanted to study something more specialized. “I think I was set and ready to study finance ever since I came to the U.S.,” he said. PLU provided him a “clear understanding” of asset and security management, he said, the perfect preparation for his role at BlackRock. Hands-on experience managing a designated financial portfolio — the Gary Baughn MSF Student Investment Fund — was valuable experience, Samba said. He was an analyst in charge of some of the holdings for the fund and met weekly with others in the class to discuss buy and sell orders, before bringing recommendations to the larger group for a vote. The the Gary Baughn MSF Student Investment Fund is a student-run, six-figure investment fund managed by graduate students in the program. Students elect officers, conduct research, present research to the group, then decide what changes to make to their investments. A designated faculty member then inputs the trades. “It provided a good foundation to understand how the market works,” Samba said. More generally, PLU’s program provided a foundation for success in the industry. DeHope says another advantage of the PLU program is its relationship with the CFA Institute, the global association for investment management professionals. Earning the CFA credential is notoriously difficult. The rigor of PLU’s program equips students to tackle the first and second levels of the multi-tiered exam. DeHope stressed the MSF is not a prep program for CFA certification, though the program does award scholarships to students to help them pay to take the Level I and II exams. Samba hasn’t taken the test yet, but plans to as he continues to advance his career. He also plans to bring what he’s learning back home to Senegal at some point. His capstone research was a good start, too; the project focused on the benefit of investing in African frontier markets as opposed to more advanced emerging markets. He considers both places his home now, and his home is likely to expand. He already has family studying around the world, including cousins in Quebec, Canada, and a brother in France. No matter where his journey takes him next, Samba will bring his expertise along with him. RESOLUTE is Pacific Lutheran University’s flagship magazine, published three times a year. Please direct any address changes to alumni@plu.edu or 800-ALUM-PLU. ResoLute (ISSN 0886-3369) is published three times a year by Pacific Lutheran University, 12180 Park Ave. S., Tacoma, WA, 98447-0003. Postage paid at Tacoma, WA, and additional mailing offices. Address service requested. Postmaster: Send changes to Advancement Services, Office of Advancement, PLU, Tacoma, WA, 98447-0003; advancement.services@plu.edu.